Mechanical fixings are used as a secondary method of securing the insulation to the substrate. Metal fixings should be used with Mineral Wool insulation. 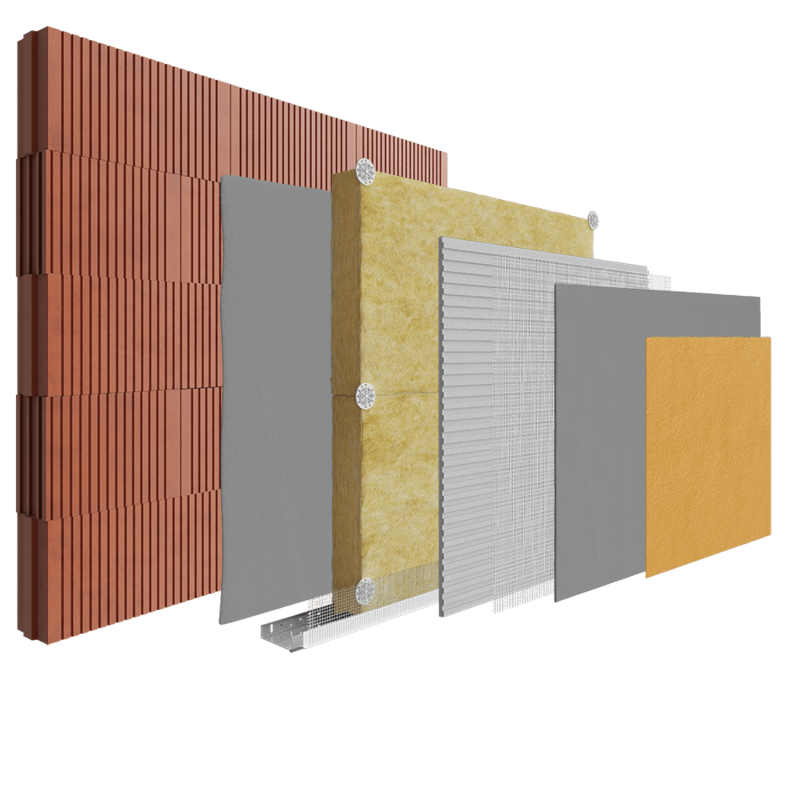 Mineral Wool insulation complements and reinforces the key fire resistance and thermal properties of the Porotherm bricks, enhancing the functionality of the substrate. Secure the Mineral Wool insulation using our breathable and durable Premium Basecoat along with Metal Pin Fixings, then finish off with a breathable thin coat render for a stable and harmonious insulation system.